Ever Lube Co. Ltd. it's division company of Shang Her Shing Co. Ltd., which is official sole and exclusive importer and distributor of Lubrita products for Taiwan market. 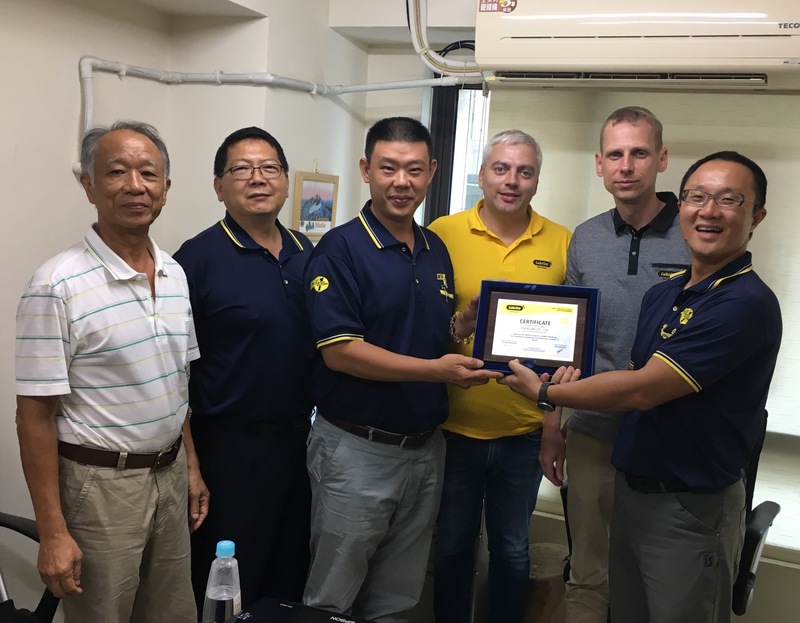 During the visit to Taiwan Lubrita local and international teams visited many existing Lubrita customers in Kaohsiung city. Family business of Everlube with very professional attitude provide great service and products for Lubrita customers in all country over 20 years. Ever Lube Co. Ltd. in 2017 build 2000 sq. m. new warehouse to have much more advantage - improved and quick supply of Lubrita lubricants to local cars and motorcycles dealers. Mr. C.T. Huang, Mr. Elvis Huang (father and son) and company team members Mr. Jeff Su, Mr. Eric Hsieh with many years experience, supply oils and lubricants to navi, defence, ship building companies. Family friendship, join experience, enthusiastic attitude created great opportunities to expand business in Taiwan. Thank You for great time in Taiwan together. Looking forward to meet You soon in Europe!